KINGSTOWN — The Hotel and Tourism Association (HTA) will meet today — Thursday — to formulate its response as the Government makes its second move since 2009 to lift the ban on jet skis. 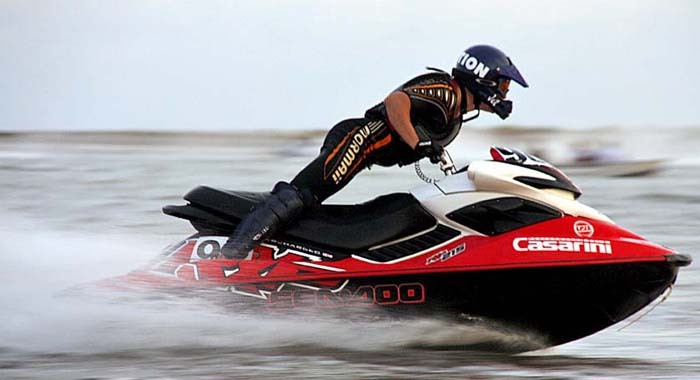 Although covered under the Power Craft Act, the importation of jet skis is currently prohibited under the Supplies Control Act. But the latest attempt to lift the ban is expected to meet with the same strong resistance as it did four years ago. Some stakeholders are questioning the move in light of other countries’ efforts to reduce the number of personal watercrafts (PWC) in their jurisdictions and the negative impact on their tourism product. “We’ve put a feeder out to everybody [to] give a feedback, what they think, and then I will make a statement based on that,” Kim Halbich, president of the HTA told I-Witness News on Tuesday. The SVGRMA’s position was outlined in a letter on Tuesday to the Permanent Secretary in the Ministry of Tourism that same day outlining his group’s position on the move. The Ministry of Tourism, in a letter sent to the Bequia Tourism Association and obtained by I-Witness News, said it was “considering the introduction of jet skis as a water sport activity and also to facilitate patrol of the waters throughout the destination”. The ministry said it “is cognizant of the importance of collaborating with stakeholders to ensure that all the necessary parameters are established for the smooth and safe operation of this craft”. It encouraged feedback or recommendations with respect to the introduction of this craft, inclusive of designated beaches, speed limit — operational distance from the shore, and safety guidelines. West, in his response jet skis “are simply bad for the environment, bad for those wanting to safely swim, snorkel and dive in our waters and enjoy the peace and quiet of our beaches and anchorages. “They are dangerous and statistically account for in excess of three times more than other types of serious accidents and deaths of users of powered watercrafts,” he further said. He said that even in destinations with strict legislation and actual enforcement of those laws, accidents and fatalities occur. “Our current legislation has served us well for many years and those that have enjoyed our waters, our beaches and anchorages very much appreciate the non- existence of Jet Skis,” he said. Meanwhile, the response from the yachting sector came through a nine-page letter from Sally Erdle, editor of Caribbean Compass Publishing, a yachting magazine. Erdle referred to five comprehensive surveys of visitors to the Eastern Caribbean. “Many of the questions included in every Readers’ Survey deal with factors that make a yachting destination desirable or not desirable. “Over the five Compass Readers’ Surveys so far conducted, from 94 per cent (2001 Survey) to fully 100 per cent (2007 and 2010 Surveys) of respondents say they “prefer to be in areas without jet skis,” she wrote. Conflict with SVG’s reputation for tranquility, noise pollution, danger to marine life, danger to users and other people, questions of EMERGENCY medical response capability, liability issues, crime and law enforcement issues, and developing countries as dumping grounds. “By all accounts, the introduction of jet skis presents not only a high risk of negative environmental impact and physical injury to persons, but in terms of tourism it also threatens the alienation of the high-priority yachting market segment,” Erdle wrote. It’s about time Jet Skis become a majour part of SVG tourism industry. There is no reason to ban the product, because of some people’s fear. All that’s needed is to set out the rules that govern the use of the machine. This machine is what the police and coast guards need to protect the yachting industry from the growing problem it faces now. The response time can be reduced in case of an emergency calls form yachters. It also allow the coast guard and police to be more vigilant to observe any suspicious movements of boats night or day. The may be even cheaper and more efficient to operate that the 3 engine monsters the coast guards now use. I am sure six or more of these machines can monitor the main land and the Grenadines 24/7 365 days a year and bring more peace and tranquility to the yachters and people of SVG. Here are some points to consider: Diving areas must be clearly marked to keep Jet Skis out and the speed limit close to the beaches can be reduced to ensure the safety of swimmers. There is far more danger to folks on the street and roads in SVG than in the waters, yet no one is asking to ban car and trucks. Operating jet skies is much safer than operating a boat. Quite often I found my vision blocked by the bow when operating my speed boat. I don’t think the blame should be placed on the machine, but rather on the operator. 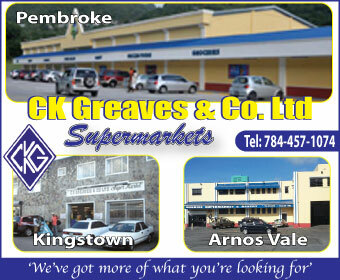 The same goes for the drivers on the roads in SVG where there is an increase in accidents, caused by reckless drivers. So bring the machines in for a test drive. I have seen them in St. Lucia, so why not SVG? Jet skiis, drunken operators, not to mentions dangers in harbors throughout the Grenadines–this is not progress or an inducement for tourism–we come to the Grenadines for peace and quiet. Perhaps designated areas of St. Vincent could be allocated–I assume this “idea” is due to the new airport. ISOLATE THESE POWER CRAFTS. KEEP AWAY FROM AREAS OCCUPIED BY SWIMMERS AND OTHER BOATS. I DONT ITS FAIR TO BAN THEM. SINGLE ENGINE PLANES STILL FLY THE AIR AND THOSE ARE ALSO DANGEROUS TOO. IF THE ENGINE STALLS, THOSE PLANES HAVE NO BACK UP POWER AND COULD CRASH IN POPULATED AREAS. Sooooo many miles of water and we can’t use them, sigh. The sad thing is, hardly a Vincentian will be able to use jet skis or be able to afford them. Dangerous crafts. The noisiest things you can think about. Keep our beach and hotel areas quiet from noise pollution. If I were to support the use of jet skis, they’ll be confined to the Kingstown harbor, Ottley Hall bay and only area where the public do not bathe. Also their use will be restricted to specific times of the day. Lets just say allow their use no closer than one mile from shore. Can you just imagine these things whizzing through young island cut, the damage they will do to the business at those hotels. Marinas. Young Island Resort, Paradise Inn, Sunset Shores, Beachcombers. I can understand these hotels being deeply pi–ed off that this is even being considered again. But at the end of the day, this will pass in parliament, remember money speaks louder than words. No no no! Keep them away from the pristine beauty of the islands! Just look at what they have done to other tourist areas – ruined them! If you want to set up an area where they can be used, great, but don’t allow them free reign of any/all bays, islands, etc.! What damage? What pollution? Speed limits are needed both on land and in certain areas on sea. We have vehicles travelling in villages and town at break-neck speed, killing folks who don’t have a side walk to keep out of their way. Recently a kid was killed in Layou and this is not the first time we’ve had vehicular accidents in that town. An entire family was almost wiped out because of the speed of these vehicles. As recently as this year no compensation or punishment occurred for that accident that took place close to 10 years ago. Many of these drivers are still driving today, so let’s no blame the vehicles. Regulations are what’s needed both on land and at sea. I am sure this was the same argument used when cars were introduced to replace the donkey cart many years ago. Let’s move forward and put some strong and meaningful regulations in place. Ironically the same hotels and resorts may soon start renting out these machines to their visitors. What else is there to do but lie on the beach all day at the hotels and resorts mentioned. Here is an opportunity for visitors to enjoy the open sea and see other places on the island. And don’t forget there are other beaches and people in other places beside Young Island and Indian Bay. I am agreeing with the government on this issue. I am sure someone saw my comment some months ago on this issue, when I mentioned the advantages this machine will bring to the police and coast guards, in controlling crime on the sea. A pretty good debate, but the advantages definitely out-weigh the disadvantages almost 2 to 1. Again speed limits are what’s needed in specific areas, not restrictions. The sea has more real estate than land and trying to control certain areas will need more unnecessary man power. Let’s accept the introduction of this machine as a step forward and move on. Kenton: Ask for an username or ID instead of a name. Most folks will use pseudo name to avoid retribution by this government and it lemmings. My username is pvpalmer. However I am not afraid to use my name because I fear no one. With all due respect,as a Barbadian boat operator I can firmly state that the worst single thing to happen to our tourism was the introduction of PWC’s, Before their introduction there was an abundance of small sailing craft. Hobie cats were the ‘in’ thing and visitors would be thrilled by the very skilled operators who would speed along flying a hull. Water skiing was also very profitable and lucrative, we had top rated skiiers and their families vacationing here because of the high level of competence of our operators.It was at the time when I was a ski instructor that the first Kawasaki stand up (real) Jet Skis came here. They were allowed at first because they were supposedly governed down so as not to exceed 15 knots.Well, the hobie cats dissapeared, the water skiers got tired of playing dodge em with the jet skis and all you could hear was the annoying buzzing and “hey buddy! wanna ride?” As far as using them for law enforcement and safety patrol, we been there and done that. It does not work! Firstly, the coast guard do not like to get wet and they do’nt like hot sun! Furthermore, how would you get a disabled or unconsious person onto a pwc? @ Vere I assumed you traveled great point. Rodney Bay St.Lucia is famous for motorized water sports,, with the landings hotel and Sandals hotel at pigeon Point there is absolutely no issue. Christ Church Barbados awesome .. Phillipsburg St. Maarten another plus. Why Not SVG? With good training and licenses in effect there should be absolutely no issues with this. Safety is priority and these sports can be carried out safely. nothing feel so good when riding a wave on a jetski. It is quite bizarre that there is any thought of introducing jet skis into the waters of SVG when currently SVG is being marketed as an ECO haven for travellers and a retreat for sailors. Jet skis will destroy and pollute our beautiful waters and environment, damaging and killing marine life, and they will frighten away visitors / sailors with the additional noise pollution. Furthermore, they will endanger anyone swimming, fishing, snorkelling, or diving in our beautiful waters. Currently the state seems to have difficulty just to maintain and control whats happening on land (speeding dollar vans and drunk driving are just two examples), so how on earth will they control what is going on in the waters? If jet skis are allowed in our waters, we will have some sad times to face ahead of us, loosing the little tourism we have left! Let me join the ‘ban’ wagon. I think government should ban pedestrians because almost all all all of the deaths on our roads are persons on foot, so save some lives quick, ban walking, a go vote fo yo. St Vincent currently is struggling with tourism, don’t you think that the introduction of jet skies can give tourist some fun to do in st Vincent other than walk to the botanical gardens. Incase you haven’t notice every other island in the Caribbean advertises lush vegetation and beaches. So this might be a plus to st Vincent and for her growth. Why can’t we implement guide lines and strict laws to govern these crafts. For instance restricted areas among our most popular beaches. I am from st Vincent and every time I come home it saddens me to see no progress in our island. Don’t lift the ban. Jetskies are noisy, dangerous at times and pollute the waters and environment. I have been to both Bequia and St.Vincent and also Barbados. It is awful swimming peacefully in the sea in Barbados and having a jetski wizz by noisily and dangerously close to shore. People have been hit and died with jetkies and perhaps in the proper place where there are less swimmers they can be fun but not where you have divers and swimmers and local people and tourists seeking peace. They are in some of the waters here in Canada and for the most part people would have them banned and in some areas have been successful. On peaceful lakes the residents have banned together and voted for no jetskies and on some lakes there are no power boats. You have pristine waters there… keep it that way !! I often think how stupid otherwise intelligent Vincentians are, how lacking they are in common sense. I have been to hundreds of beaches, East Africa, South Africa, West Africa, all over the Caribbean, all over the Mediterranean both the North African side and the European side. China, Japan, USA, Canada, UK, Ireland and several Nordic countries. I can state with much authority that these craft are dangerous to swimmers, snorkelers and divers. I have seen several accidents and witnessed the havoc that they cause. They are a nuisance causing wash on beaches and disturbance to boats and water craft at anchor. Most countries want to get rid of them but because they are so established they find it impossible to do so. I know that a ULP group is trying to get this through parliament, they seek political help and support. We do not want yet another sell out. I see nothing wrong with these craft being used solely by the authorities, police, coast guard etc. But in the hands of the public they will be a nuisance and a danger that we could become saddled with for years to come. Someone suggests keep them a mile off shore, but the are unstable in rough waters, which could well result in the deaths of the riders and pillion passengers. I think that the NDP should make a statement saying if this ULP government pass this, they will reverse it, and those that invest in it will lose their investment. TO ALLOW THESE MACHINES INTO OUR SAFE WATERS WOULD BE A STEP BACKWARDS. Jet skis will certainly not be the miracle we need to lure tourists to our islands, quite the contrary in fact! Most islands in the Caribbean allow jet skis and are feeling the negative impact they leave. Tourists do not choose a Caribbean destination based on whether jet skis are allowed or not. What is much more important and where focus should be on is working with what we already have.. St. Vincent’s pristine rain forests, rivers, waterfalls, volcanic beaches, volcano, etc. and the Grenadines’ white sandy beaches, turquoise waters filled with coral reefs, fish etc. How can we make these more accessible to visitors, and safer? How can we make it easier for visitors to get here? Where are the flight connections? Why is everything so expensive with constant new increases in VAT, Tax etc? Why are there no workshops or schools where our people can be properly trained to work professionally in the hospitality sector? The list goes on and on… These are the issues that need to be dealt with! Jet skis are unnecessary and their allowance in Vincy waters will just be another add-on to the already piled-high stack of issues that exist here..We have too many issues in this small island state that need dealing with and should not allow room for anything else that can cause damage to us, our environment, our tourism, our safety. “I often think how stupid otherwise intelligent Vincentians are, how lacking they are in common sense”. Peter are you sure you are not a Ralph supporter, who sees other opinions as stupid and lacking common sense. This is the same attitude you keep belly aching about when you refer to Ralph. You see everything in party colors (red and yellow – or whatever the other party colour is). If you are so knowledgeable, then come up with a solution for the problem these machines cause in all the locations you mentioned. You can be the next Bill Gates, or Steve Jobs, because these machines are here to stay and anyone with a solution for their safe operations can make millions. The topic is how to make Jet Skis safe to operate in SVG waters. But you had to take your poke at the ULP, by branching out to the political filed with workshops, hospitality sector, and how to get visitors to SVG. Can you see the Jet Skis dialog being a campaign issue to poor Vincentians, especially since many cannot afford to purchase one? This is an opportunity to clean up the carnage on land by addressing the impending problems some see with the introduction of the Jet Skis on sea. Both will have the same root problem: bad operators. So stop your bitching and being Mr. Wise Guy and be courteous to other user of this forum – even Ralph if he starts using it. Peter are you sure you are not a Ralph supporter, who sees other opinions as stupid and lacking common sense. This is the same attitude you keep belly aching about when you refer to Ralph. You see everything in party colors (red and yellow – or whatever the other party colour is). If you are so knowledgeable, t hen come up with a solution for the problem these machines cause in all the locations you mentioned. You can be the next Bill Gates, or Steve Jobs, because these machines are here to stay and anyone with a solution for their safe operations can make millions. Best Comment I have heard so far……. It will be the only way for there to be any meaninful response. The foreigners are all against, the local wants it.